Of course my children are obsessed with candy like most children tend to be, however mine can tend to be a bit more obsessed with things like mints. Thankfully they think that having good breath and oral care are super important. This is due to the fact that we come from a family of Dentists. 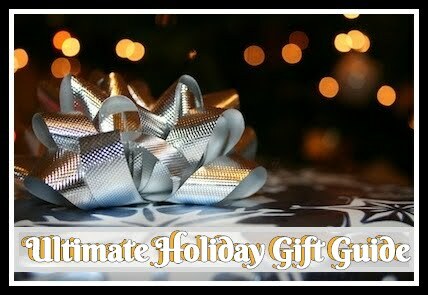 Two years ago, I discovered an awesome company with a range of products that can help out you and your family in an extremely natural way. Xlear, founded by Dr. Alonzo H. Jones in June of 2000, manufactures all-natural and health enhancing products. They are "recognized as one of the leading manufacturers of xylitol products." What first caught my attention to this amazing brand was how xylitol had an affect on ear infections in children. Then I quickly realized that it was actually huge in the world of oral care because of its effects. 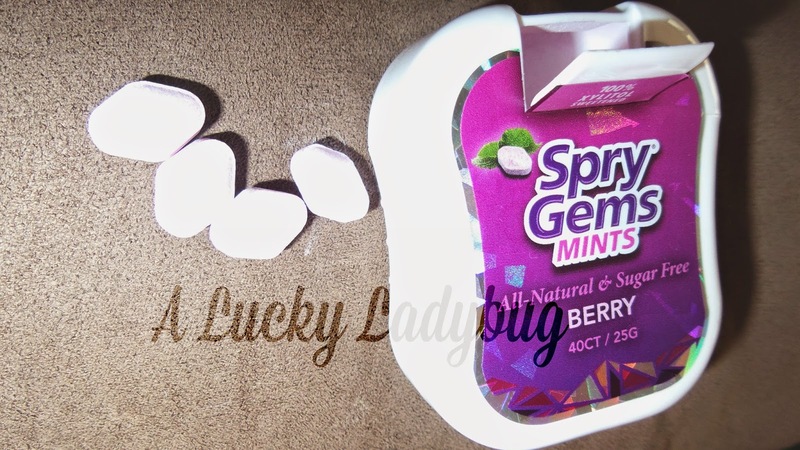 This time around I was sent over several packs of the Spry Mint Gems to review which I knew the boys would absolutely love. If I am going to find them craving candy of some sort, I'd prefer it be something healthy and beneficial for them. 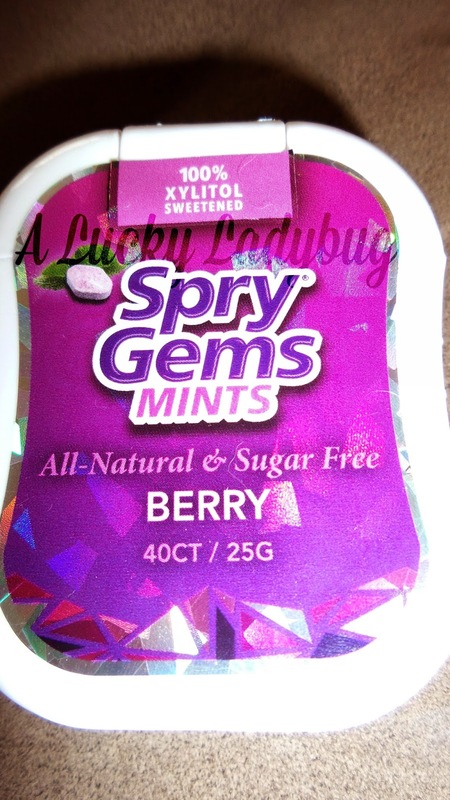 "Spry dental mints are sugar-free and sweetened with 100% xylitol!" I love giving the boys a couple of these after meals as they both were immediately hooked on these little candies! . This way they think they are getting a treat for eating well and I know I am helping keep their teeth in better shape. I was sent over two flavors - Cinnamon and Berry. The boys definitely favored the Berry as I am sure it tasted more like candy to them and we ran out of them fairly quickly! Recommendation: Not only is this not a bad price especially because its a natural way to prevent oral issues but most kinds of mints and gum these days cost an arm and a leg to put who knows what into your body and your children's. 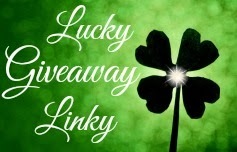 Giveaway: Xlear is going to give one of A Lucky Ladybug's lucky readers a choice of two flavors of the Spry Mint Gems to try of their own! We have a garden every summer and let the children plant their favorite vegetables. They care for the garden and then harvest when it's time. They are much more willing to eat what they have grown themselves. When we get pizza, usually every other week or so, we always make sure it has plenty of veggies on it. My daughter's favorite is Spinach, Chicken and Feta. I plan to have the child help plan and prepare the meals with me. Since they feel like they have input they are more likely to continue the eating into teenage years and adulthood. My child likes for me to cut his fruits into different shapes like stars and clovers so he eats them better. I let my kids learn to cook with me. They found that fun and a way to find out about healthy foods too! My daughter became a good cook. Having the kids cook with us and use their imagination on different healthy food choices is a great way to make it fun for them. we like cooking together as a family. I let my kids pick of their favorite healthy foods when we go grocery shopping so its makes them more excited to eat their food choices. 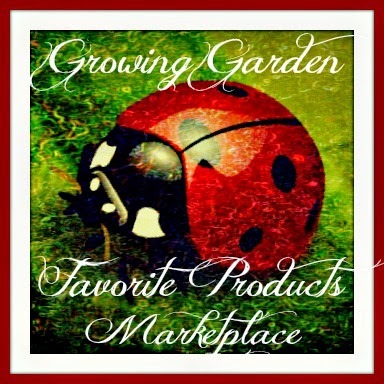 I love all the great product reviews from this blog! We introduced veggies first and then fruits so that they became accustomed to those flavors first. We would go to the store once a week and the kids would pick out a fruit or veggie that they have never tried before. The deal was they would have to take one bite of it at dinner. They actually found many they liked. I let them eat lots of fruit. We let our kids pick out the food in the grocery store! They love picking out the apples, oranges and bagging them for us! They also help us make green juice at home! I make healthy sandwiches for them and cut them out with cookie cutters! making fun shapes with the food like bento boxes, and cutting out sugars that are addictive. You know you are the first person to ever ask this and I think it is a great prompt to write and explain as it isn't a simple answer lol. I have loved them though since I was a young tween! Right now my daughter will eat anything so I don't have to be too creative! I usually make her smoothies or I will make her healthy muffins (carrots, raisins, apples, and wheat germ etc). She loves them! i dont even have to try any tricks. my son naturally loves fruits and vegetables. if he has one he doesnt like i usually hide it in other foods to get him to eat it. I hide veggies in pasta. one fun way to get the kids to eat fruits and veggies is to let them play with the different colors and shapes of fruits and veggies while we eat them. To be honest, I don't have to be creative. My kids eat all their vegetables because their father and I have a love of them and' I guess we've passed it down. I mix veggies in their smoothies.They love it! We always make sure the kids spend time in the kitchen cooking, and understanding why we use certain vegetables or ingredients.